Issa Alexandrovich Pliyev (Ossetian : Плиты Алыксандры фырт Иссæ; Russian : Исса Александрович Плиев) (also spelled as Pliev) (25 November [ O.S. 12 November] 1903— 2 February 1979) was a Soviet military commander, Army General (1962), twice Hero of the Soviet Union (16 April 1944 and 8 September 1945), Hero of the Mongolian People's Republic (1971). Ossetian, also known as Ossete and Ossetic, is an Eastern Iranian language spoken in Ossetia, a region on the northern slopes of the Caucasus Mountains. It is a relative and possibly a descendant of the extinct Scythian, Sarmatian, and Alanic languages. Russian is an East Slavic language, which is official in the Russian Federation, Belarus, Kazakhstan and Kyrgyzstan, as well as being widely used throughout Eastern Europe, the Baltic states, the Caucasus and Central Asia. It was the de facto language of the Soviet Union until its dissolution on 25 December 1991. Although, nowadays, nearly three decades after the breakup of the Soviet Union, Russian is used in official capacity or in public life in all the post-Soviet nation-states, as well as in Israel and Mongolia, the rise of state-specific varieties of this language tends to be strongly denied in Russia, in line with the Russian World ideology. During World War II, Pliyev commanded several mechanized cavalry units, ranging from regiments to army corps. The military historians David Glantz and Jonathan House described Pliyev as a "great practitioner of cavalry operations in adverse terrain". 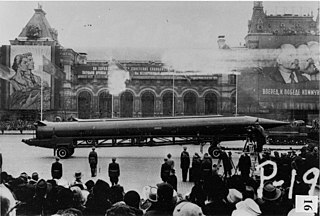 Pliyev became known in the West largely for his involvement in the Cuban Missile Crisis. David M. Glantz is an American military historian known for his books on the Red Army during World War II, and the chief editor of the Journal of Slavic Military Studies. Jonathan M. House is an American military historian and author. He is a professor emeritus of military history at the United States Army Command and General Staff College. House is a leading authority on Soviet military history, with an emphasis upon World War II and the Soviet influence upon modern operational doctrine. Together with David Glantz, he wrote multiple books on the Red Army operations on the Eastern Front, most notably When Titans Clashed: How the Red Army Stopped Hitler. The Cuban Missile Crisis, also known as the October Crisis of 1962, the Caribbean Crisis, or the Missile Scare, was a 13-day confrontation between the United States and the Soviet Union initiated by the American discovery of Soviet ballistic missile deployment in Cuba. The confrontation is often considered the closest the Cold War came to escalating into a full-scale nuclear war. Cavalry or horsemen are soldiers or warriors who fight mounted on horseback. Cavalry were historically the most mobile of the combat arms. An individual soldier in the cavalry is known by a number of designations such as cavalryman, horseman, dragoon, or trooper. The designation of cavalry was not usually given to any military forces that used other animals, such as camels, mules or elephants. 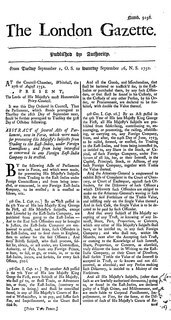 Infantry who moved on horseback, but dismounted to fight on foot, were known in the 17th and early 18th centuries as dragoons, a class of mounted infantry which later evolved into cavalry proper while retaining their historic title. 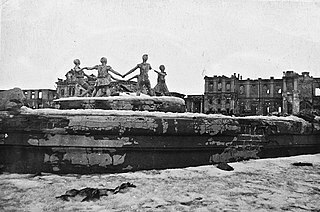 The Battle of Stalingrad was the largest confrontation of World War II, in which Germany and its allies fought the Soviet Union for control of the city of Stalingrad in Southern Russia. The 4th Guards Kuban Order of Lenin Order of Suvorov, Order of Kutuzov Cossack Cavalry Corps was a cavalry corps of the Red Army from 1942 to 1946. It was formed on 27 August 1942 from the 17th Cavalry Corps. It was disbanded in 1946 by being redesignated the 4th Guards Cavalry Division. As 4th Guards Cavalry Division, it was the last cavalry division in the Soviet Army, disbanding in 1955. Operation Bagration was the codename for the Soviet 1944 Belorussian Strategic Offensive Operation, a military campaign fought between 23 June and 19 August 1944 in Soviet Byelorussia in the Eastern Front of World War II. At heavy cost, the Soviet Union inflicted the biggest defeat in German military history by destroying 28 out of 34 divisions of Army Group Centre and completely shattered the German front line. The 1st Belorussian Front was a major formation of the Soviet Army during World War II, being equivalent to a Western army group. The Battle of Debrecen, called by the Red Army the Debrecen Offensive Operation, was a battle taking place 6–29 October 1944 on the Eastern Front during World War II. The Transbaikal Front was a front formed on September 15, 1941 on base of the Transbaikal Military District. Initially, it included the 17th and 36th armies, but in August 1942 the 12th Air Army was added to the front, and, finally, in June–July 1945 the 39th and the 53rd armies, the 6th Guards Tank Army, and the Soviet Mongolian Cavalry Mechanized Group under Issa Pliyev. Manchuria is a name first used in the 17th century by Japanese people to refer to a large geographic region in Northeast Asia. Depending on the context, Manchuria can either refer to a region that falls entirely within the People's Republic of China or a larger region divided between China and Russia. 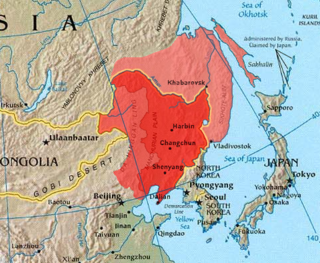 "Manchuria" is widely used outside China to denote the geographical and historical region. This region is the traditional homeland of the Xianbei, Khitan, and Jurchen peoples, who built several states within the area historically. Плиев И.А.. Через Гоби и Хинган (Through the Gobi Desert and the Khingan Mountains). 1965. The Soviet invasion of Manchuria, formally known as the Manchurian Strategic Offensive Operation or simply the Manchurian Operation, began on 9 August 1945 with the Soviet invasion of the Japanese puppet state of Manchukuo. It was the last campaign of the Second World War, and the largest of the 1945 Soviet–Japanese War, which resumed hostilities between the Union of Soviet Socialist Republics and the Empire of Japan after almost six years of peace. Soviet gains on the continent were Manchukuo, Mengjiang and northern Korea. 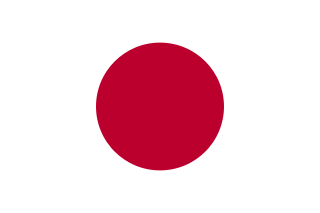 The Soviet entry into the war and the defeat of the Kwantung Army was a significant factor in the Japanese government's decision to surrender unconditionally, as it made apparent the Soviet Union had no intention of acting as a third party in negotiating an end to hostilities on conditional terms. The Western Front was a front of the Red Army, one of the Red Army Fronts during World War II. The Far Eastern Front was a front — a level of military formation that is equivalent to army group — of the Soviet Army during the Russian Civil War and the Second World War. A cavalry-mechanized group was a type of military formation used in the Red Army during World War II against Germany and Japan. Nikolai Ivanovich Gusev was a Soviet Army colonel general. The 6th Guards Order of Red Banner Tank Army was a tank army of the Soviet Union's Red Army, first formed in January 1944 and disbanded in Ukraine in the 1990s after the dissolution of the Soviet Union. During its service in World War II, the army was commanded by Lieutenant General of Tank Troops Andrei Kravchenko. The 13th Army was a name given to several field armies of the Soviet Union's Red Army, first created during the Russian Civil War. Later armies existed until the 1990s, and the army survived as part of the Ukrainian Ground Forces for some years. Alexander Ilyich Lizyukov was a Soviet military leader holding the rank of major-general. He was awarded the title of Hero of the Soviet Union on 5 August 1941. The 5th Guards Zimovnikovskaya order Kutuzov II degree Motor Rifle Division, named on the 60th anniversary of the USSR, was a military formation of the Soviet Ground Forces. It was formed from the 6th Mechanized Corps created in 1940 and destroyed in 1941 in the beginning of Operation Barbarossa. The corps was reformed in November 1942 under the same name, but with a different organizational structure. In early 1943, the 6th Mechanized Corps was granted "Guards" status and became the 5th Guards Mechanized Corps. Aleksey Semenovich Zhadov, born with the surname "Zhidov", was a Soviet military officer in the Red Army, who during World War II commanded the 66th Army, later renamed the 5th Guards Army, from the Battle of Stalingrad up till the end of the war. For his leadership of the army, Zhadov was awarded the title Hero of the Soviet Union. Postwar, Zhadov commanded the Central Group of Forces and was deputy commander of the Soviet Ground Forces. Ivan Vasilyevich Tutarinov was a Red Army Colonel general who commanded the Soviet airborne from 1959 to 1961. Tutarinov fought in World War II as the commander of the 12th Kuban Cossack Cavalry Division before being wounded in July 1944. The 20th Mechanized Corps was a mechanized corps of the Red Army. Formed in March 1941, the corps was almost entirely destroyed in the Battle of Białystok–Minsk and the Battle of Smolensk, in which it defended Mogilev. The 7th Mechanized Corps was a mechanized corps of the Red Army, formed three times. The corps was first formed in 1934 in the Leningrad Military District and was converted into the 10th Tank Corps in 1938. The corps was reformed in the summer of 1940 in the Moscow Military District and fought in the Battle of Smolensk, after which its headquarters became part of Group Yartsevo's headquarters. The corps was formed a third time in August and September 1943. The third formation fought in the Dnieper–Carpathian Offensive, Uman–Botoșani Offensive, Jassy–Kishinev Offensive, Battle of Debrecen, Budapest Offensive, Bratislava–Brno Offensive, Prague Offensive, and the Soviet invasion of Manchuria. Postwar, the corps' third formation became a division and was disbanded in 1957. Nikolai Denisovich Vedeneyev was a Soviet Army lieutenant general and a Hero of the Soviet Union. Vedeneyev was drafted into the Imperial Russian Army and fought in World War I as a non-commissioned officer. He became a Red Guard and became a partisan on the Eastern Front of the Russian Civil War. Vedeneyev joined the Red Army and became a Political commissar. He held posts in cavalry units during the interwar period and later served in mechanized units. In 1938 he became chief of the commanders' improvement courses at the Military Academy of Mechanization and Motorization. Vedeneyev became chief of staff and deputy commander of the 6th Mechanized Corps in 1940, and then was deputy commander of the 20th Mechanized Corps. The 17th Rifle Corps was a corps of the Red Army and later the Soviet Army, formed three times. The 85th Rifle Corps was a rifle corps of the Red Army and later the Soviet Army. The 4th Guards Motor Rifle Division was a motorized infantry division of the Soviet Army during the Cold War. Trofim Ivanovich Tanaschishin was a Ukrainian Red Army lieutenant general killed during World War II. 1 2 3 Glantz & House 2015, p. 286. 1 2 3 Roberts 2012, p. 149. ↑ Glantz & House 2015, p. 247. ↑ Glantz & House 2015, p. 268. 1 2 3 4 5 "Issa Pliyev". warheroes.ru (in Russian). Retrieved 10 April 2017. ↑ Baron 2001, p. 46. ↑ Reese 2002, p. 144. Baron, Samuel H. (2001). Bloody Saturday in the Soviet Union: Novocherkassk, 1962. Stanford, California: Stanford University Press. ISBN 9780804740937. Glantz, David; House, Jonathan (2015). When Titans Clashed: How the Red Army Stopped Hitler. University Press of Kansas. ISBN 9780700621217. Reese, Roger R. (2002). The Soviet Military Experience: A History of the Soviet Army, 1917-1991. London: Routledge. ISBN 0-415-21719-9. Roberts, Priscilla Mary (2012). Cuban Missile Crisis: The Essential Reference Guide. Abc-Clio Inc. ISBN 9781610690652.